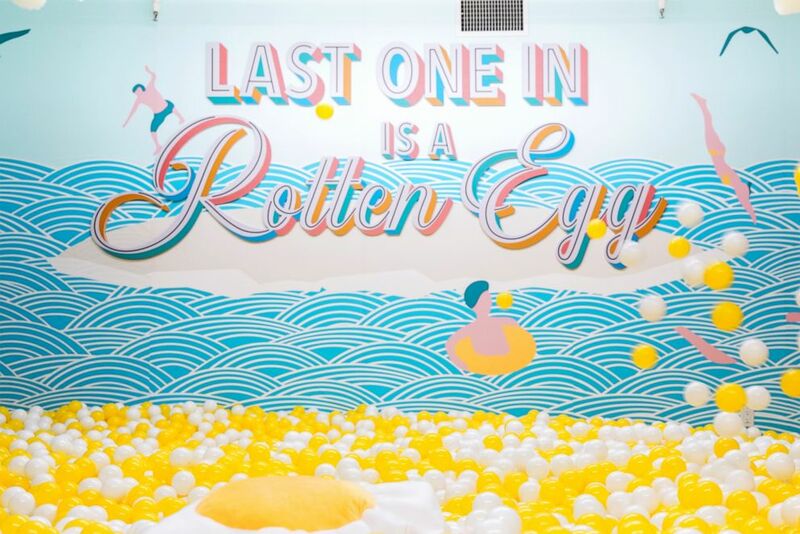 The Egg House is open in Los Angeles from now until April 28.
camera (Egg House) Egg House is an egg-themed pop-up space in Los Angeles. We're bringing you the most Instagrammable experiences around the country with GMA's On Trend. 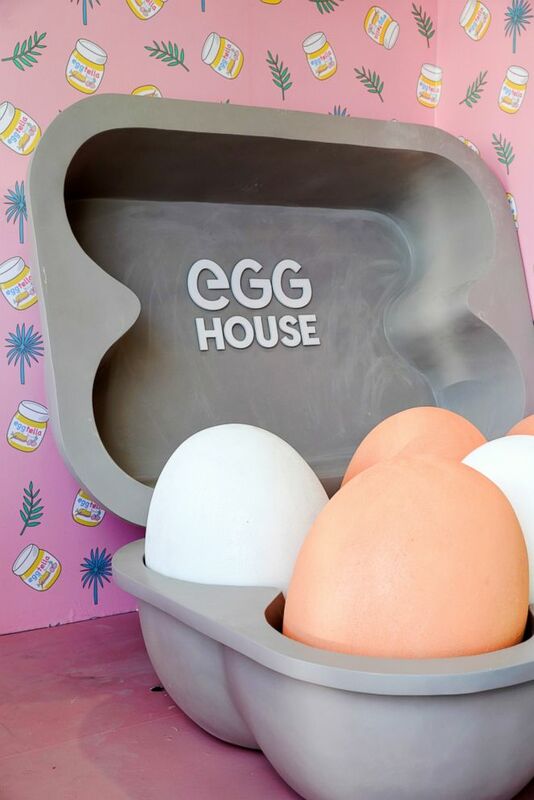 Another pop-up has appeared in Los Angeles, ready for Instagram and the Internet: Egg House, a space featuring L.A. culture and, of course, eggs. The exhibit, which opened today, was previously in New York City and then in Shanghai, before arriving in California. (Egg House) Egg House is an egg-themed pop-up space in Los Angeles. "It's for the person who is crazy about eggs and the person who wants to take photos and who wants to get a special experience," Egg House founder Biubiu Xu said. When asked about the decision to feature eggs, Xu said, "I really like brunch and dessert." "Egg is [a] very universal thing and different people love a different type of egg," Xu continued. "Another reason why Biubiu chose eggs is simply because eggs symbolize morning, energy and all the positive things," Egg House told "GMA." The project is not funded by any brand. Stefano's restaurant in Southern California created the colorful dessert. The Pizza Experience is open in Los Angeles from October through January. Chef Roy Choi features Hot Cheetos in every dish at three day pop-up spot. 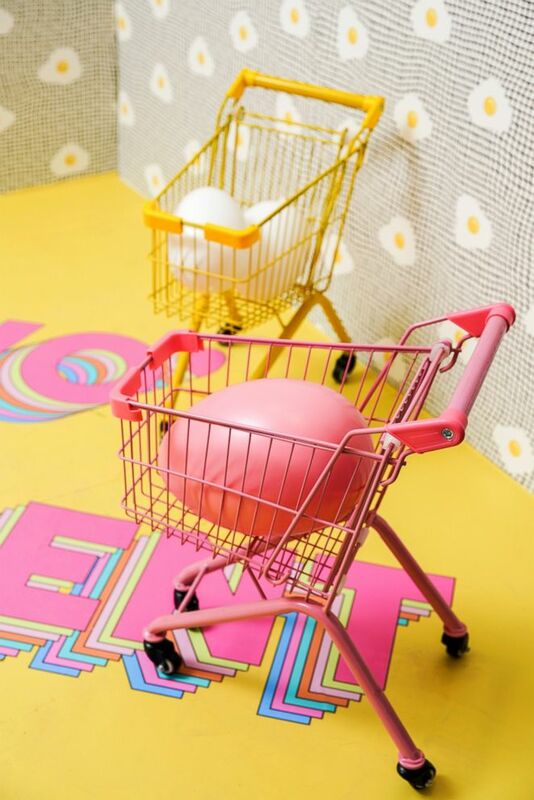 While parts of the pop-up involve eggs in some form, like brunch or a giant egg carton, other parts of the exhibit don't include images of eggs, such as a faux gas station and a pink basketball court. As of now, the exhibit runs through April 28, but those running the pop-up said it could potentially extend beyond that date. Tickets range from $22 to $30. 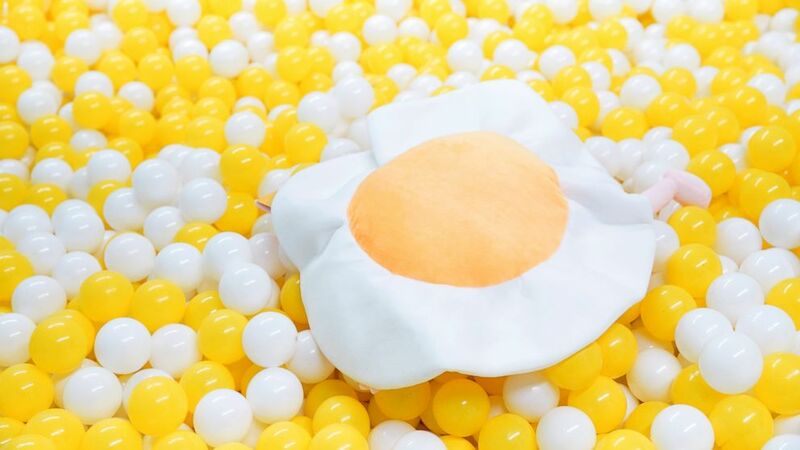 Egg House said it provides cotton candy, egg-shaped gummy candies and egg-shaped chocolates with admission. 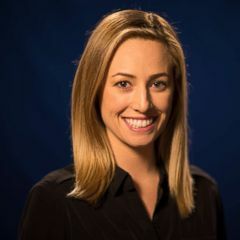 ABC News' Timmy Truong contributed to this report.